Editor's Note: Through a spokeswoman, Robideaux said he did not write an accusatory claim posted by his Facebook profile and referenced in this story. This story has been updated to reflect that information. If the mayor-president actually supports the library in its efforts to foster a more educated public, he’s doing a pretty bad job showing it. He’s actively crafting an alternative narrative that the Lafayette Parish Library tricked voters into giving it a massive fund balance. The accusation is baffling. 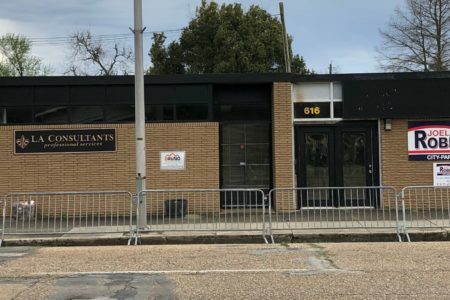 Either Robideaux is misinformed on how the library’s finances work or he’s intentionally misleading the public for some sort of misguided political gain. Whatever his motivation, the facts don’t support him. Let’s start our analysis by unpacking his claims. At this week’s City-Parish Council meeting, he announced he had found a secret revenue stream that funds the library, allowing it to stash away millions of dollars it never needed. Before his “revelation,” the general understanding was that the library was funded by three dedicated millages, one of which voters canceled at the ballot box last year. Robideaux told the council he “discovered” a fourth millage — dubbed the “ghost millage” by Councilman Jay Castille — that pays for debt the library incurred to build and renovate libraries. What he’s actually referring to is the parish’s general obligation bonds millage. This millage covers the debt service for the general obligation bonds that Lafayette Consolidated Government sells to fund major capital projects. It’s listed as “Roads/Highways/Bridges(Bonds)” on your property tax bill, if you’re curious. 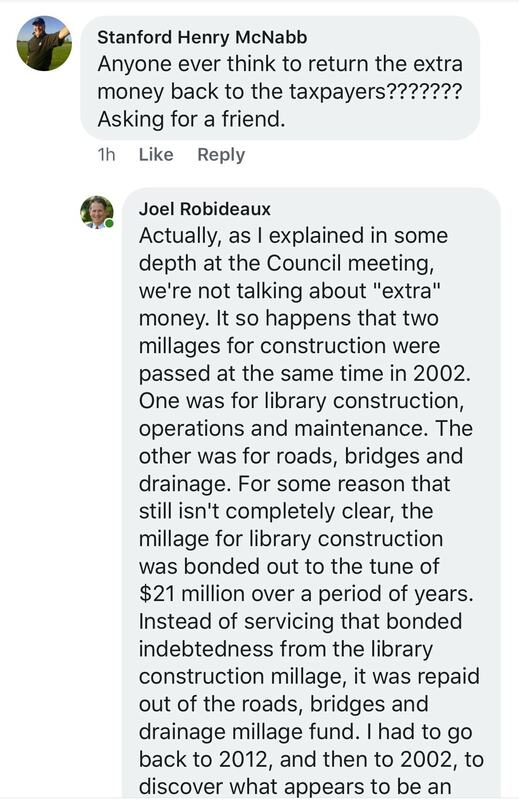 The reason Robideaux has taken issue with this ghost millage is that he thinks the library has abused it to accumulate more money than the public ever intended. The crux of his argument is that back in 2002 when voters approved the plan to increase their taxes to fund the library’s expansion, they thought they were only voting to add one new tax, even though there were two separate items on the ballot. The two items on this ballot were the authorization of $40 million in new bonds to construct libraries and the establishment of a third dedicated millage to help the library pay for operations, maintenance and construction. Robideaux believes that because this third dedicated millage included the word “construction” in its description, the public thought its purpose was to pay back the $40 million in bonds, while in reality the bonds were paid by the general obligation bond millage. And that’s allowed the library to collect its so-called “construction millage,” unencumbered by the burden of having to pay to actually construct anything. 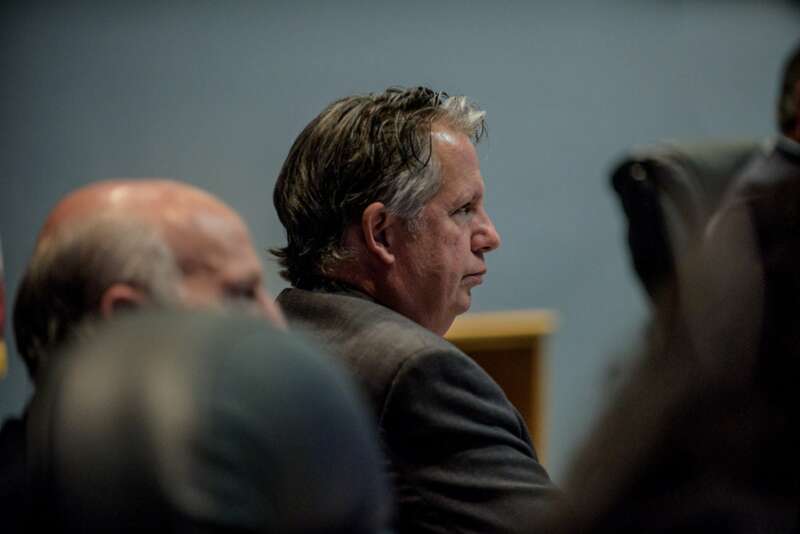 At the council meeting, Robideaux’s narrative danced around wrongdoing. Since then, he’s actively accused the library of fraud. “I think whoever structured the language did it intentionally to fool the voters,” he told The Advocate earlier this week, implicating the library staff and board of control of the early 2000s, the bond attorney who drafted the language and anyone else in local government at the time. What Robideaux, or his proxy, suggests here is serious — that it’s not through sound fiscal management that the library came by its $26 million unrestricted fund balance, but by conning the public. If true, these accusations would represent some of the most egregious malfeasance our local government has ever seen. Unfortunately for the sake of Robideaux’s credibility, they’re not. Let’s start by addressing Robideaux’s claim that the public didn’t know it was voting for two taxes back in 2002. But to suggest that all voters didn’t know what they were voting for — this is not the first time Robideaux’s doubted the public’s intelligence — or that the library was trying to dupe the public into unknowingly supporting two separate taxes is a misrepresentation of the facts, by design or by ignorance. Either way it’s disturbing. The reality of this situation is that back in 2002 Lafayette’s libraries were crowded and underfunded. The library had two dedicated millages that only generated just enough to keep its existing facilities operating. That’s why a proposal was made to increase property taxes, not just to pay back bonds to build four new libraries and renovate the main branch Downtown but also to collect a third dedicated millage to operate and maintain them. The reason the word “construction” was added to this third dedicated millage was to give the library flexibility in how it could use these funds. At the start of 10 years’ worth of major construction projects, this was a smart thing to do. 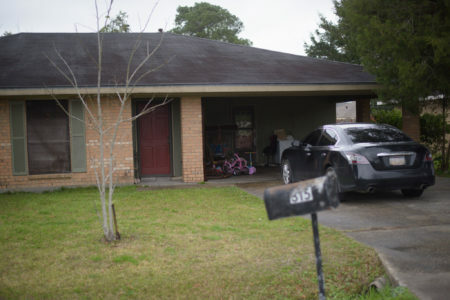 It meant the money raised from this property tax could be used to cover cost overruns, or to fund future expansions, or, if a large enough fund balance could be accrued, to pay cash rather than selling more bonds — thereby saving money on interest payments. This third dedicated millage was not a “construction millage” as Robideaux chooses to describe it, only intended to pay back the cost of building out the library system. Its primary purpose was to cover the costs of operating and maintaining these new facilities with the added bonus that it could also be used to pay for construction if the need or opportunity arose. At the same time, the general obligation bond millage is not a ghost millage or a secret slush fund through which millions of dollars can be misappropriated. Every time LCG sells a new bond that’s been authorized by a vote of the City-Parish Council and by the public, the general obligation bond millage is increased to cover the costs of paying back this new debt. Whenever one of these bonds is paid off, the general obligation bond millage decreases. Most bonds have 25- or 30-year terms. As a result, no lender will buy a bond that’s backed only by a millage that has to be renewed by a vote of the public every 10 years. So, unlike the library’s three dedicated millages, the general obligation bond millage doesn’t need to be renewed and it doesn’t expire, though it can go down to zero if there are no bonds left to pay. It also means that the library’s third dedicated millage could not have been used as collateral for $40 million worth of 25-year bonds. The general obligation bond millage is a legitimate mechanism that’s used to pay back any bonds LCG sells, whether they’re to pay for roads, highways and bridges, or the jail, parks and libraries. There’s nothing secret about it; it’s listed right in LCG’s budget every year. The only thing that makes its use ghostly in the case of the library is the fact that the word “library” isn’t in its title; plus it doesn’t show up in the library’s financials because the parish is the legal entity that is the beneficiary of the millage, the issuer of the bonds, and the owner of the library’s real estate. What’s scariest about this current controversy is that our mayor-president, a longtime CPA, may not understand how his local government uses its financial instruments. What he describes in his Facebook comment as “an error or at least a very odd way to service debt” is actually the system functioning exactly the way it’s supposed to. The council voted to approve putting the authorization of bonds to fund library expansion on the ballot. The public voted in favor of it. Then the general obligation bond millage was increased whenever the library sold a bond to pay for the debt service. That’s not a conspiracy; that’s just how government financing works. Full stop. But the depths of his ignorance on this issue seem to know no bounds. For example, he’s claimed that the library hasn’t been using any of its fund balance to pay for construction projects other than the West Regional Library and only then, he asserts, because the public was starting to catch wind of its scheme as its fund balance grew to outsized proportions. 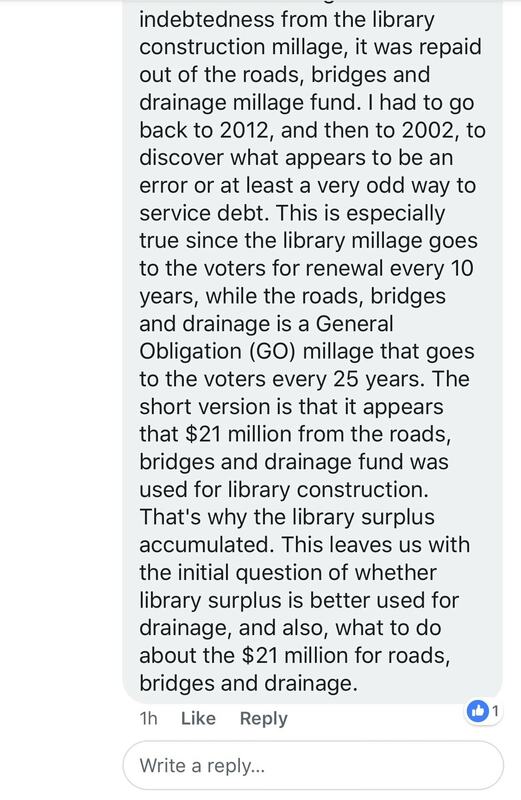 He’s also claimed that the reason the library’s fund balance grew so large was only because it was able to take $21 million away from the roads, bridges and drainage fund. But that’s simply not true. To start with, there is no “roads, bridges, and drainage fund” as Robideaux describes it (though to be fair there are two separate funds, one for Roads and Bridges Maintenance and one for Drainage Maintenance). The library also did not take $21 million away from roads, bridges and drainage to artificially inflate its fund balance. Library officials sold a total of $21.9 million in bonds out of the $40 million they were authorized by the voters to spend for the specific purpose of constructing libraries. And as we’ve already covered, the debt service on those bonds was paid for by a legitimate increase in the general obligation bond millage. Robideaux’s narrative attempts to sensationalize the library’s sizeable fund balance, suggesting it was amassed by theft. The truth of how the library’s fund balance grew so large is a bit more complicated and a lot less salacious. For starters, the library’s third dedicated millage was designed to pay to operate facilities that didn’t open for a few years. As a result, the library was able to save that money. It ended up with even more than was initially estimated because it took 16 years to complete the build-out of what had originally been a 10-year plan. Additionally, all three of the library’s dedicated millages collected more money than expected both because of the influx of people from hurricanes Katrina and Rita as well as the surge in property values from the development of areas like River Ranch and Sugar Mill Pond. 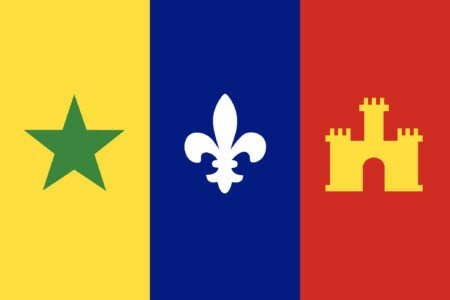 These forces combined to increase Lafayette Parish’s total taxable assessed value from $831 million in 2002 all the way up to more than $2.2 billion in 2018. As a result, all of Lafayette’s property taxes were collecting more money than had been forecasted. So the library ended up spending less money while collecting more than what was initially projected, which is why its fund balance ballooned. Robideaux’s seemingly obliviousness to this reality led him to go so far as to reject the notion Tuesday night that sound fiscal stewardship had anything to do with the library’s enviable financial situation. But think of it this way: Since 2002, the library had the authority to sell $40 million worth of bonds, and its third dedicated millage has collected almost $50 million since it was approved. If the library had been irresponsible in its handling of taxpayer dollars, it could be carrying $40 million in debt and have squandered $50 million on things the community doesn’t need. Instead, our library system is on the verge of completing its major construction projects having sold only $21.9 million in bonds while growing its fund balance from $3 million to $42 million. From where I sit, that’s the kind of good fiscal stewardship I wish we saw more of in local government. Had the library been less fiscally responsible, Robideaux wouldn’t have $18 million available in one-time money to propose rededicating in the first place to score political points (perhaps with campaign donors upset by the library’s plans to host Drag Queen Story Time). When you take a step back, the only “game changing” aspect of Robideaux’s discovery is that it highlights how little our elected officials seem to understand about the library’s finances. And don’t forget, they were close to making a major policy decision based on inadequate and inaccurate information about whether to rededicate $18 million of the library’s fund balance. Thankfully they realized that this issue deserves much more scrutiny and voted to defer this issue until April. What we’re left with is a troubling situation. Either the mayor-president doesn’t really know how government finance works, he’s intentionally spreading misleading information to create a wedge issue he can use to bolster his 2019 re-election campaign, or he’s made an honest mistake that he will hopefully soon make a public apology for. If he were right about all this and had actually uncovered malfeasance, Joel Robideaux would be a hero. But he’s not right, and, whatever his intentions, he’s stoking the fires of the community’s mistrust in government. Reasonable people can disagree about what to do with the library’s fund balance, but the only way we can have a serious debate about the best path forward is if we start from a basis of facts and trust. Unfortunately, our mayor-president has decided to lead with misinformation and false accusations. In the process he’s damaged the library’s credibility and, perhaps more fatally, his own. This story underlines the critical role of professional local media in the functioning of local self-government. Without an archive of past reporting, and current reporters to bring accurate historical information to bear in sorting out today’s issues, it would very easy for polititians to re-write history so as to distort reality. The gist: When his initial defense of an ethically questionable loan to one of his top aides fell short, Mayor-President Joel Robideaux turned to the city’s legal department to produce a report exonerating both his administration and the assistant. The report does neither.